Imagine this scenario: You're 6 months pregnant with your third child, with a 2-year old and a 6-year old already in tow. You've only been on a military post for a total of one year, 800 miles away from your family and friends. Your husband comes home to tell you he is deploying to Iraq in 2 weeks! This was my first experience with life as an Army wife. I knew my husband would deploy at some point, but we had hoped it would be at least another year down the road. After all, he had only been home for a year from basic training, during which he missed the birth of our second child, and a 16-month unaccompanied tour. I had our third child while my husband was out on a 6-month mission in Iraq (Deployment #1). He came home from that deployment and met our daughter when she was 1 month old, only to turn around and leave to another training school for 3 months. When he returned from school, we moved from Texas to Georgia. Then...he deployed again 5 months later, this time for 16 months (Deployment #2). During this second deployment, I had 3 kids, no family nearby, very little money, and only a couple friends. Life was hard and lonely. I became heavily involved in the Family Readiness Group (FRG) to meet other spouses and, hopefully, make some friends. Additionally, as part of this group, I'd be one of the first to know about any deployment issues or homecomings. I find myself reading social media posts from civilian friends back home, saying how much they miss their husbands who have been gone a few days or a couple of weeks, and it makes me want to smack the ever-livin' piss out of them. They have NO CLUE what it's like to worry like I did, to lose sleep, to have a phone attached to my hip on the off-chance my husband will call. To check emails incessantly and form every bit of my life around his new schedule. I didn't answer my door unless I was expecting someone because I didn't wanted to open up to a "casualty notification" (meaning he has been gravely injured or killed in action). Army wives also tend to freak out when there is a "blackout." A blackout is when none of the spouses hear anything from their husbands. Every commercial involving military personnel makes you cry. The tiny hairs on the back of your neck stand up every time you see someone in Class A's drive by your house. This life is NOT for the faint of heart! Redeployment (homecoming) comes. Everyone in my house is so excited to have Daddy home, but he's changed somehow. He's not the man he was 16 months ago. When he walks into the room, everyone stops and stares, including me, because it feels strange. Everyone is awkward around each other, and he feels out of place. Sometimes his anger gets the best of him when the kids are a little too loud or just want to climb on him because they miss him. Everyone tries so hard to make things the way they were before he left for so long. The baby, who was 9 months old when he left, is now 2 years old. He is able to stay home with us for, approximately, 18 months before deploying for another 12 months to Iraq. My husband re-deploys (comes home) and this time he's changed even more! Where has my fun-loving husband gone? This is a monster! Everyone tries extra hard to go slower with reintegration back into the family. His children have aged so much in a year; his oldest has become a young lady and physically developed. This is the point where their close bond is shattered irreparably; he still treats her like a child and she has developed her own opinions/thoughts/mind. Everyone walks on eggshells because "Daddy is mean". Many fights ensue between us and divorce is heavily discussed. How can I support 3 children with no degree? I decide to stay and fight through by attending counseling. My Husband deploys again (#3) back to Iraq. This deployment is the easiest one as all they are doing over there is shutting down outposts. The "see ya later" was harder this time than the previous. 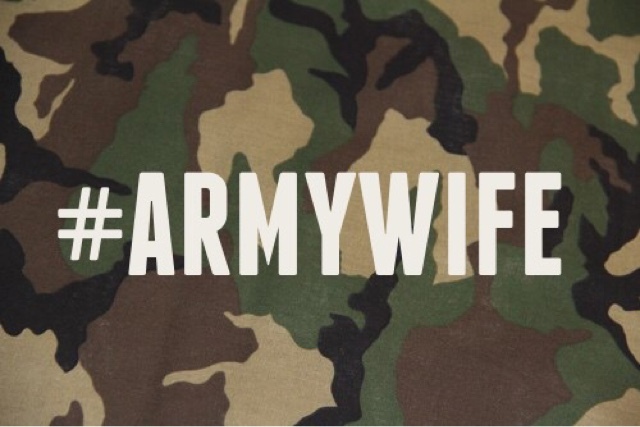 This deployment goes much more smoothly because I am now a "seasoned deployment wife." I'm able to get into a good groove and have started going back to school to finish my degree I had started 12 years prior. I still miss him and still wait for his calls/emails, but have decided my life MUST go on. I cannot live my life waiting for contact from him. I am very active in the FRG at this point and am the Treasurer for our chapter. I end up finishing my Bachelor's degree during this deployment, about halfway through. When I cross the stage, I tear up, hoping/wishing my husband would walk out on stage to surprise me when I get my diploma, but of course, that can't happen. It was a very hard day. Life keeps going and the kids are thriving! There hasn't been much communication throughout this deployment with my husband, but that was agreed upon prior to him leaving. Redeployment comes and everything goes well. This is the best we've gotten along in MANY years! Deployment #4 comes a year later, this time to Afghanistan. This is the HARDEST deployment yet. My husband's unit suffers heavy casualties and I've attended a funeral. Communication is almost non-existent and I'm contemplating a separation when he gets home. I've lost my love for this man and I've changed drastically. I'm tired of putting my life on hold for him. I've been accepted into graduate school and my life needs to keep moving forward. A separation has been initiated and accounts divided. I can't stand the military any longer, I tell him "I did not marry you to be a single mother!" He's tired of the "who you know" mentality of the military now and has decided to get out of the Army. We decide, one last time, to work on ourselves for a better marriage and leaving the military might do it. I start getting cold feet the last 5-6 months and tell him maybe he should stay in. After all, he will be 1 month shy of 11 years in the military when he gets out. His mind is made up and he's going to take his Honorable Discharge. Life is a great deal less complicated in the British army. You still get deployed but we do not try to control the world and thus we are at home, or follow the husbands when they go.